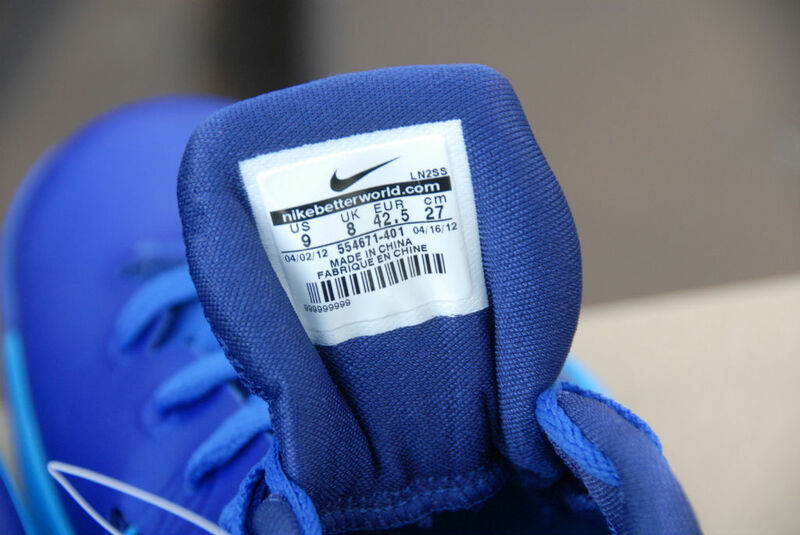 Previewed here is another upcoming Nike Lunar Hyperdunk Low release, this pair decked out in contrasting blue tones. 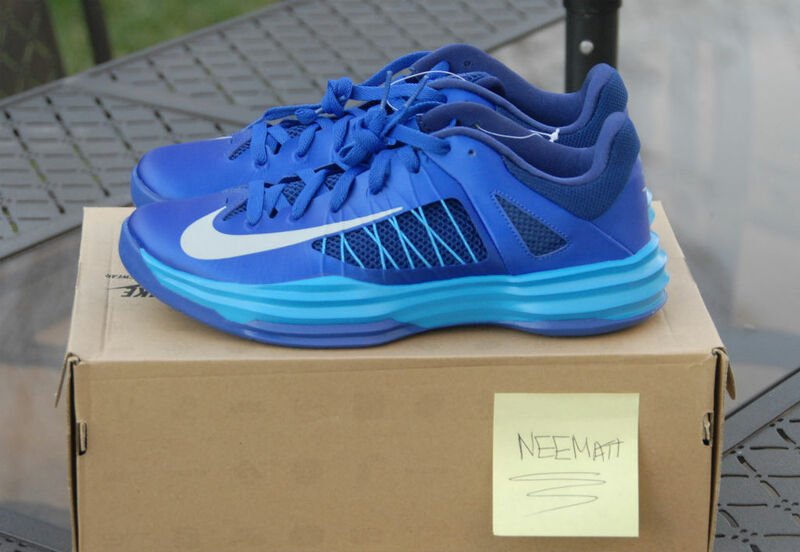 Previewed here is another upcoming Nike Lunar Hyperdunk Low release, this pair decked out in contrasting blue tones. 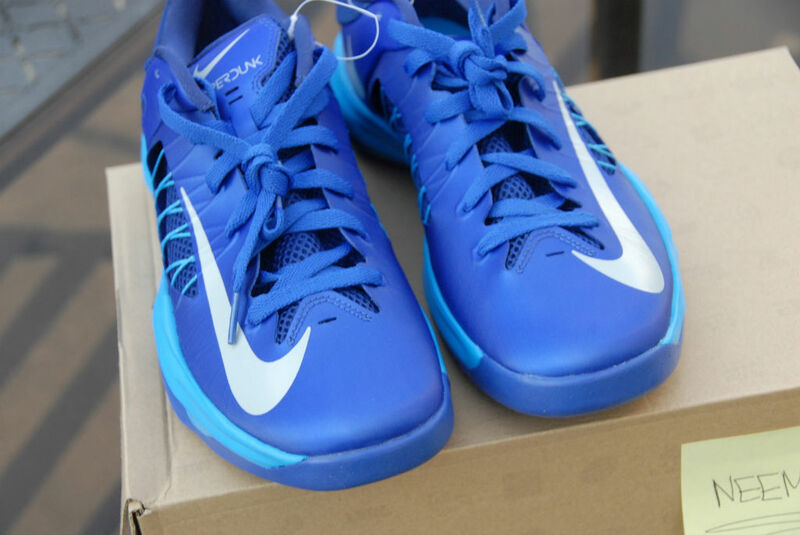 Royal dominates the shoe's synthetic and mesh upper, while a light hue handles the Lunarlon-cushioned midsole. 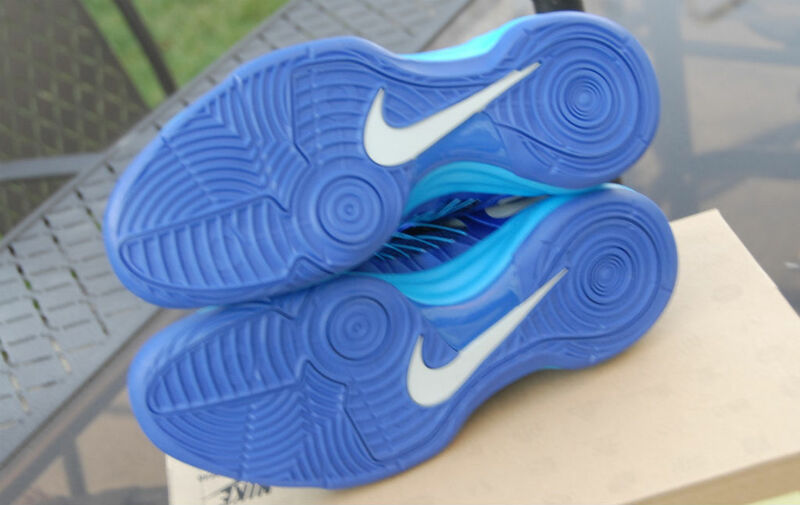 Grey fills in Swoosh and tongue branding, while a royal rubber outsole caps off the look below. 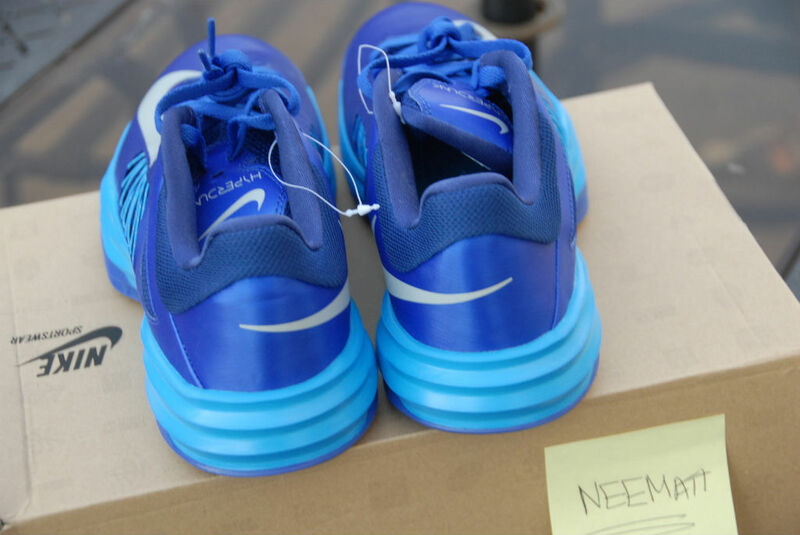 No official release details for the Hyperdunk Low at the moment, but this sales sample is being sold by neematt on eBay.